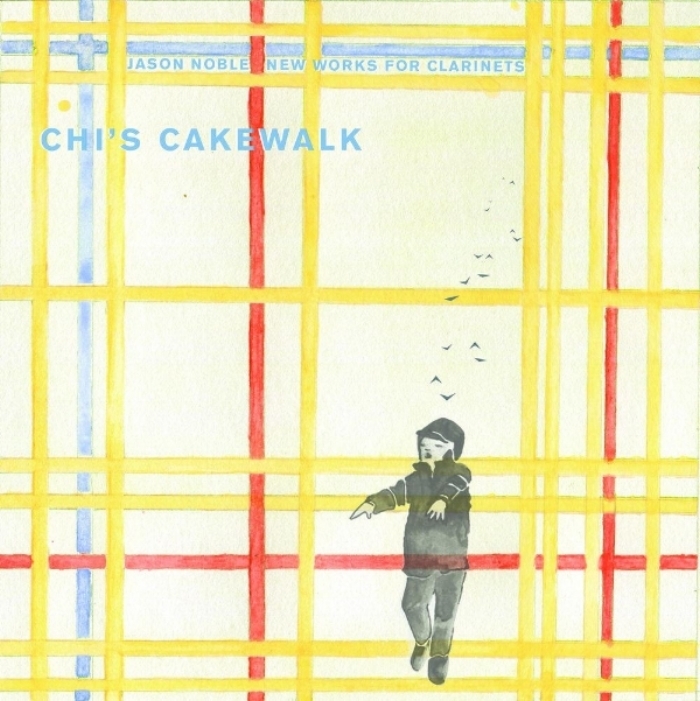 The journey to making my first solo album Chi’s Cakewalk was a long but rewarding one. As a clarinettist I have recorded for ABC Classics, Ensemble Offspring, Halcyon, the Tiwi Women’s group Ngarukuruwala to name a few – but it was always a project driven by someone else, with me dutifully turning up with prepared part and goodwill to boot. I soon decided it was time to put out an album that reflected the breadth of projects I was involved and personally invested in. I was also thinking a lot more about the importance of archiving creative projects and collaborations. Of course the usual questions relating to musos and albums came up. Does anyone actually buy an album anymore? Was making a CD even valid in this age? Having travelled to India and Afghanistan to both perform and teach, I have often been the recipient of an album from colleagues and friends I’ve met along the way. I always thought it a warm gesture to encourage collaboration, and a great way to say “this is me”. I have always admired my colleague and friend Claire Edwardes for her prolific release of solo albums. Also a huge inspiration in recent years was my fellow band members from the Shaun Parker & Company’s production of Am I from 2015. We did a lot of international touring together, which meant lots of time feeding off each others’ creativity. Fellow musicians Jess Green, Jessica O’Donoghue and Alyx Dennison seemed to be able to pump out babies and albums with equal vigour! Add to them composer Nick Wales and percussionists Bree Van Reyk and Tunji Bier, and it’s a pretty inspiring cohort. I wanted the album to be all Australian music, and have both a contemporary classical, educational and world music edge. Working with living composers has always been satisfying, getting to jointly shape a new composition together. I chose a cross-section of works that reflected my own eclectic interests in music. Felicity Wilcox was writing a piece for me on bass clarinet. We met through an Ensemble Offspring commission and got talking. We spent a few sessions shaping this work from her initial ideas to the work Yurabirong which has already been played a number of times here and internationally, by both myself and clarinettist Ros Dunlop. teachers are more likely to skip past a work if they can’t hear a sample. Chi’s Cakewalk presents some Australian works recorded for the first time, including works by Gerard Brophy, Corrina Bonshek, Andrew Schultz, Stuart Greenbaum, Matthew Hindson and Nicholas Vines. I know my students have appreciated hearing this repertoire and it has inspired them to tackle some of these works. Taking the clarinet and bass clarinet out of the classical arena has also been an interest of mine. Kim Cunio and I developed a friendship many years ago and in 2017 it seemed natural for us to create something together. “Introspection” began with Kim’s recording of Tibetan singing bowls, and me improvising over the top. I love the meditative qualities of this work. Working with the Tiwi Womens’ Group Ngarukuruwala and Genevieve Campbell over the years has been a real privilege, including a couple of trips to the Tiwi Islands. Our latest album Ngiya Awungarra (I Am Here, Now) won the Northern Territory award at the 2017 APRA/AMC Art Music Awards and I am glad I was able to include the track I worked on with Nick Wales and the Tiwi mob. So in the end, making this album has been both a great exercise in archiving some of the projects I have been involved in over the past few years while also fulfilling ambitions in expanding the repertoire of the instrument. And the next time music takes me on tour, I can at last hand over my own recorded business card – a slice of what represents me as an artist.